Where BrExit is concerned the middle path is turning out to be the worst path to follow, the path that pleases neither LEAVERs or REMAINER's, which is precisely the path that Theresa May's government remains determined to put Britain upon as she is wined and dined by Britain's new colonial masters in Europe. If Theresa May gets her way Britain would become a defacto colony of the European Union, subservient to EU Laws and regimes all without political representation. Effectively Britain coming full circle from the world's premier colonial master of a century ago to soon to become an in consequential periphery at the boundaries of a German Economic Empire. 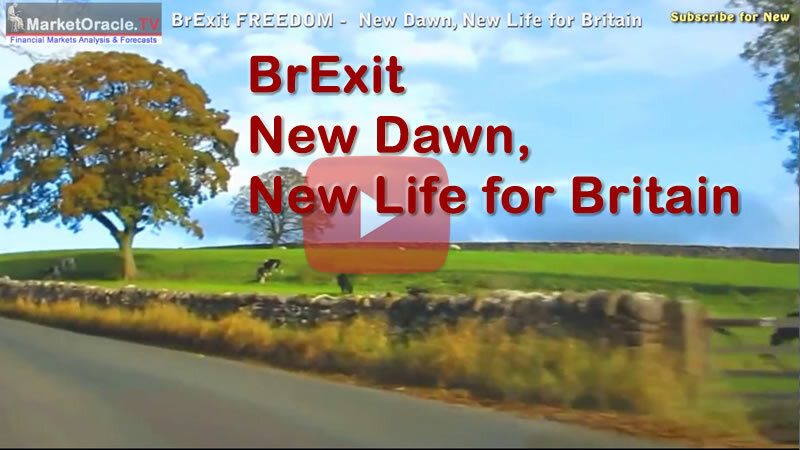 This is the future for Britain if Theresa May achieves her objective for as REMAINER it was never her goal for Britain to actually leave the European Union. 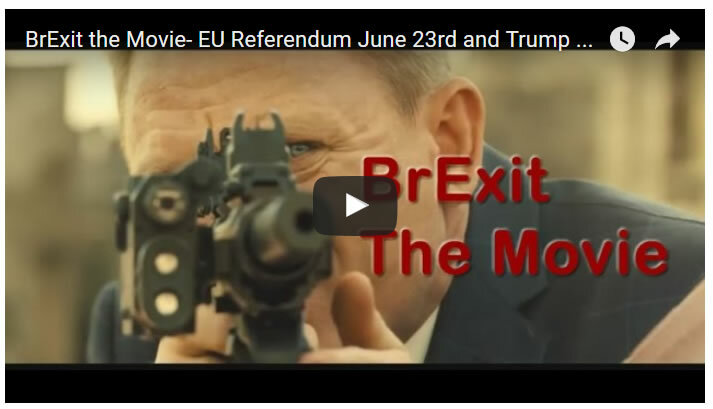 Which amounts to a deliberate subversion of the Brexit settled will of the British people. Instead of a new BrExit dawn for Britain could easily turn into a permanent nightmare courtesy of Theresa May's perma-remain agenda as illustrated by the £39 billion ransom that Britain is being forced to pay as part of the 'deal' when instead Britain should be receiving a £39 refund FROM the European Union! The latest betrayal is Theresa May effectively handing the keys to Gibraltar to Spain in the form of conceding sovereignty over the rock in exchange for Spain not vetoing her deal. When instead Britain should be threatening to recognise Catalonian independence as I covered in the following analysis over 18 months ago of what Britain needed to do to win the BrExit War against Spanish ambitions. 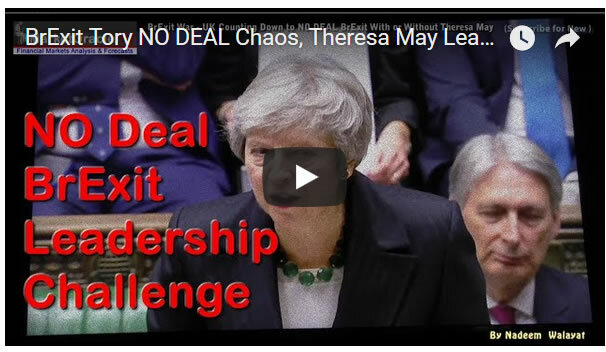 However, hope is not lost yet for the odds still favour MP's refusing to vote for Theresa May's suicide note as I covered in my following recent video that a No Deal Brexit remained as the most probable outcome. Whilst a BrExit War is even a more probable outcome today then when I first flagged the possibility of BEFORE the EU Referendum was held due to the fact that pseudo democracies such as Spain are lining up in attempts to dismember what they see as a crippled Britain. Your analyst counting down to Independence Day.